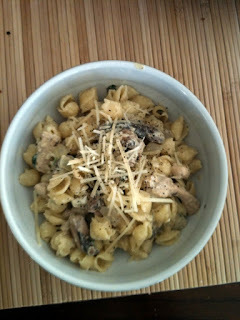 My hubby loves my pasta salad dish. 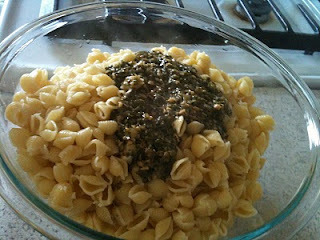 It's a nice cold side to almost any meal and simple to do especially if you have the sauce made up ahead of time. Serve it plain or add in anything you want. 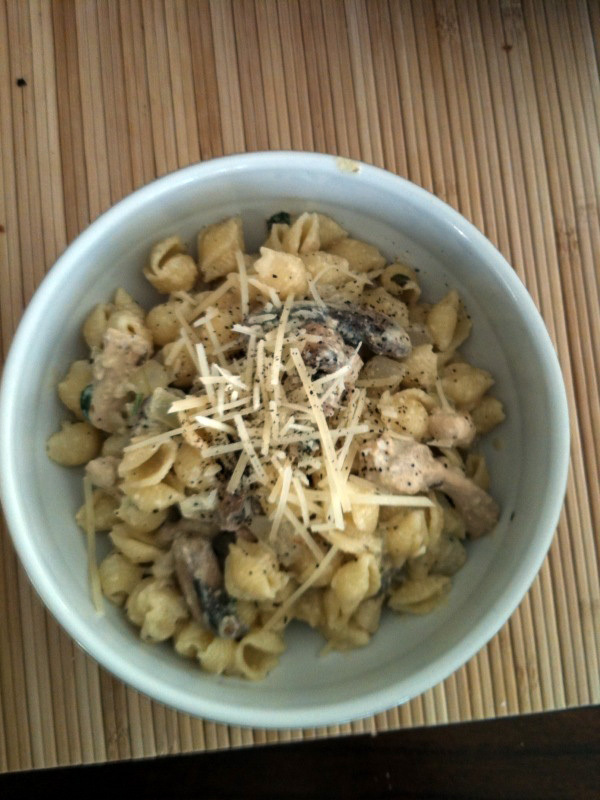 This time we used shell pasta (but you can use any type) and topped it with some diced chicken, mushrooms and topped it off with shredded Parmesan cheese. Place all the above ingredients into food processor and blend until almost smooth. 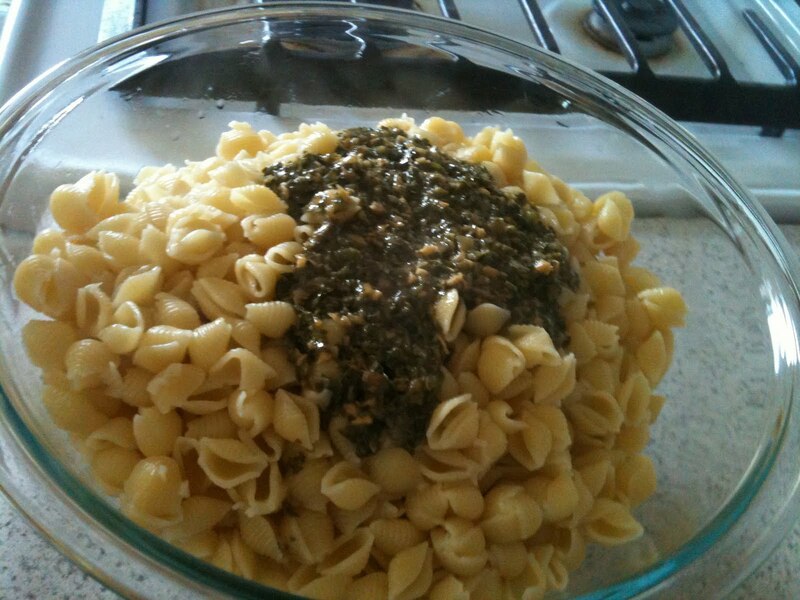 Then place pasta into mixing bowl and pour some sauce on top then mix together well. After pasta is evenly coated add in diced bell pepper, purple onion, dash of pepper if desired, and anything else you would like to add.